Winter Solstice and Dark Moon fall together this year, making this another powerful sacred moment in this year of highly potent astrological line ups, which started with New Moon falling on New Year’s Day. 2014 Year of the Horse has delivered a charged ride of transformation, drama, delight and decadance. After all that intensity, Solstice is a moment of silence, a still point as the earth’s axis shifts direction and turns the planet, and our attention, towards the returning light that Spring will bring. The dark moon ensures we are likely to feel the spiritual power in this festival. As much of the world gets excited about Christmas, but also does its annual self-scrutiny around consumerism, war and violence, community and family life etc, the hectic and relentless pace of modern life is surely going to be seen as the cause of so much anguish and disorder in the world. Humanity has to remember how to stop and breath. How to listen to the wind. How to see the light dancing. To be one with Nature. To be one with each other. How to get over our differences. How to live and let live. How to really love. Christmas gets Christians and non Christians alike in the mood for a good dose of this. Those of us who prefer to celebrate pure Spirit, embracing and transcending all its cultural manifestations, get to enjoy the more elevated atmosphere created by a nation at ease for a few days as they enjoy their parties and/or prayers…. and, thanks to the pagan calendar, we get to start it four days earlier…. As we head to the Solstice the waning moon is calling us inwards. It’s another period of reflection and preparation for renewal. We have just been through an intense period of facing and releasing shadow parts of ourselves since Autumn Equinox…. Samhain was a pretty full on time of letting go spread over a few weeks – so if we did the work and have less going on in our ‘pain body’ now, in our emotional depths, then this could be a satisfying slide into warm winter inner peace, sparkling well being, contained and, mostly, quiet. However, if the hurts are still hurting, the demons unconfronted, they are going to be up for transformation once again more than likely. At the Solstice it’s time to look forward with joy and celebrate the rebirth of the light. This works on every level of being. By engaging the ritual, alone or with others, we invoke rebirth in ourselves. This is a moment to set goals and look forward optimistically, to feel our connection to all things, and, perhaps especially, to the spark of the divine child within us – which, I dare to suggest, is the real point of the Jesus story. Other religions of the ancient world also celebrated the birth of their saviour at this point of the year, but Christianity brought the myths told about the gods into the human realm. Christ was born to show us that we are all the children of god, with the mystical light of divinity at our core. This is a potent moment to release old notions about ourselves and re-align ourselves with life: with the divine, with the world, with each other. 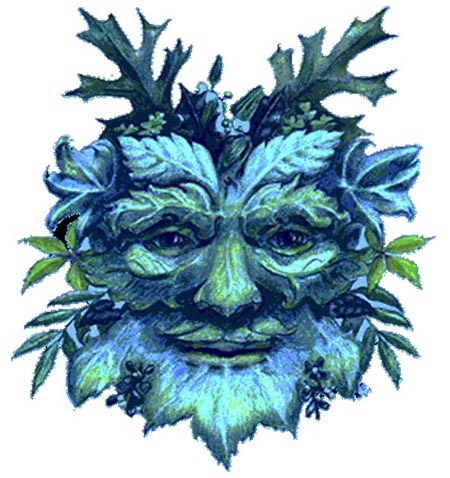 The Albion Faeries will gather in Vauxhall on Sunday afternoon, 21st December, at the same time as many other magical, spiritual, nature honouring groups, to open the gates and let the rising light through at this sacred moment in time.